Hi everyone! 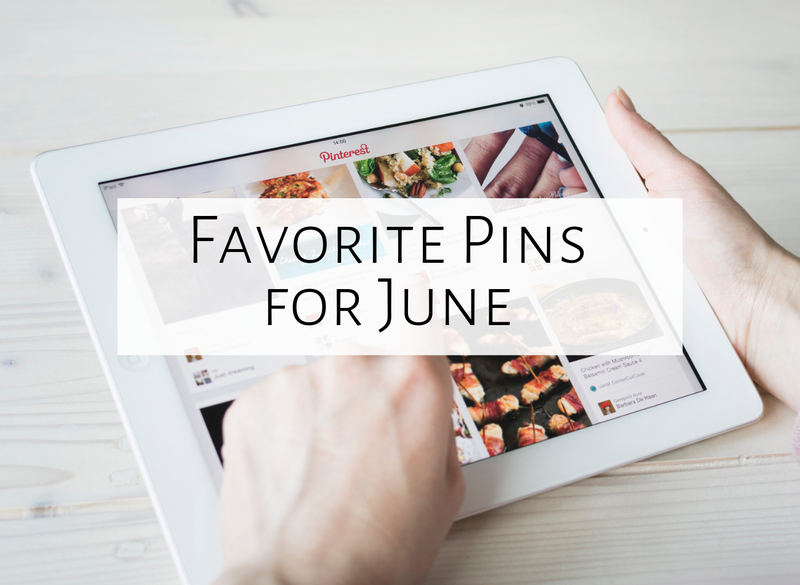 It is time for my five favorite pins of June! If you are a teacher blogger, feel free to join the party! Directions are at the end of the post. Here are my five favorite pins this month. To see the pin, click each picture. 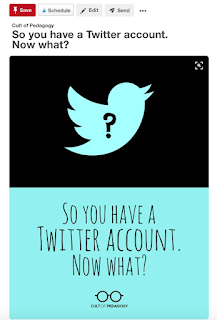 #1: So you have a Twitter account, now what? 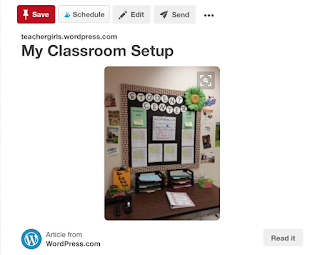 This pin led to a blog post with lots of great classroom setup ideas, but the picture in the pin is the one which got my attention. I LOVE the idea of having one place in the room where students can hand in work, get work, get pencils, etc. Right now, I have an area that is kind of spread out, so I am going to think about how to implement one central location in my music room! 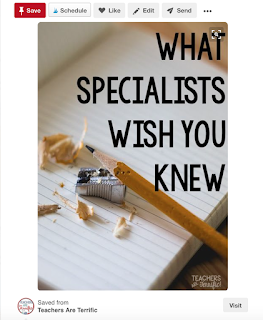 This blog post had some GREAT insights into being a specials teacher (written by someone who used to be a classroom teacher). Although I do make a point to learn all of the students' names (see this blog post about that topic), the rest of the points she makes really resonated with me. 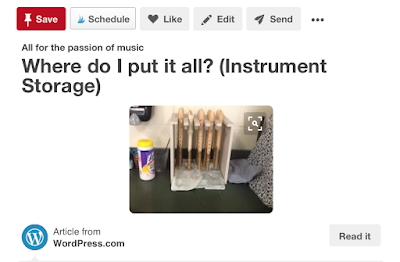 I love this blog post by Patti Anderson, with some really practical ways to store instruments! 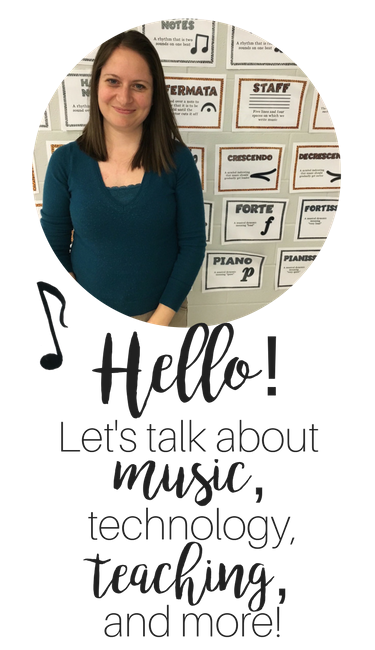 From hand drums, to recorders, to ukuleles, she has lots of great suggestions for storing the instruments so they are out and ready to use! There are my five pins! 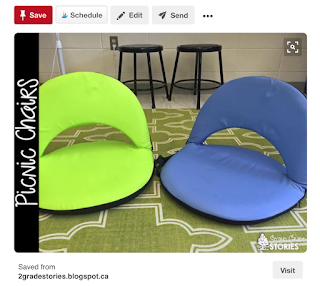 If you'd like to see more pins like this, make sure to follow me on Pinterest. 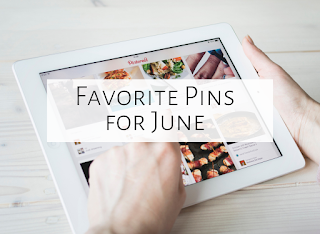 Click below to see favorite pins from other music bloggers! Happy pinning!